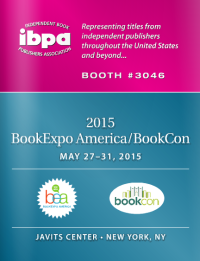 In last week’s recap of BookExpo America 2015, I shared three ideas on things to enhance planning for industry events. The article explained how we prepared for this year’s BEA, and also talked about ways we, as a company, will leverage those lessons learned for future trade shows – regardless of industry. The show catalog complements the books being at the show. Attendees use the catalog for taking notes when they visiting exhibitor booths. Show catalogs are the the “takeaway” attendees save and use after they get home. Although I could have looked at the actual books on display, the catalogs offer more valuable data points, in part because nearly three weeks after the event they are still accessible in print and online. Book marketing, like any other promotional activity, is crucial to garnering attention (aka “discoverability”) and, potentially, sales. 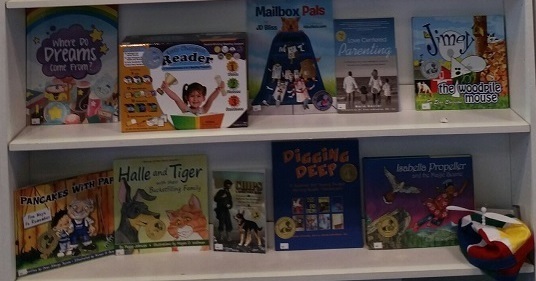 Cooperative displays at trade shows are a cost-effective way for authors and publishers a chance to get their products in front of their demographic. 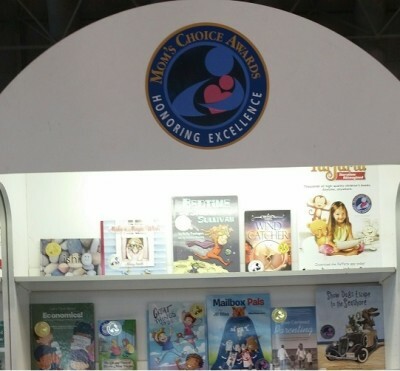 According to listings in the two catalogs, there were 72 Mom’s Choice Award-winning books and products on display in the MCA Showcase and/or the IBPA booth. Looking at the relevant categories in the IBPA catalog, more than 1 of every 4 books in the Show Catalog is a Mom’s Choice Awards winner (27.9%). Unfortunately, most Honorees missed the opportunity to market their book as an award-winning product. Nearly 75 books, but only nine had the seal on the book cover. Even with 20-30 books on a page, the cover images with seals stood apart and were very noticeable. If a picture is worth a thousand words, that means 88% of Honorees did not visually promote their book as an award-winning product. As the Director of Honoree Marketing, it is my job to take that extra step and research every title in a show catalog. Most buyers aren’t going to do that. To their eyes, very few of the products in those catalogs were recognized award winners. And those that did, definitely stood apart from their peers on the page. How do I improve my book marketing strategy? So glad you asked! Use these three, easy-to-do tips to improving book marketing for your award-winning book or product. Not just for trade shows, but in areas of promotion. Create a cover image with the Honoring Excellence seal. Use this version anywhere you use a cover image: press releases, sales sheets, email signatures, et al. Write / Update your product description to include a reference to your award-winning product. [See sample promotional statements here.] Even if you have two or three versions (short, medium, long) make sure they reference your achievement. This list of specialized resources may also be a useful checklist as you identify potential points of sale for maximizing your book marketing efforts.